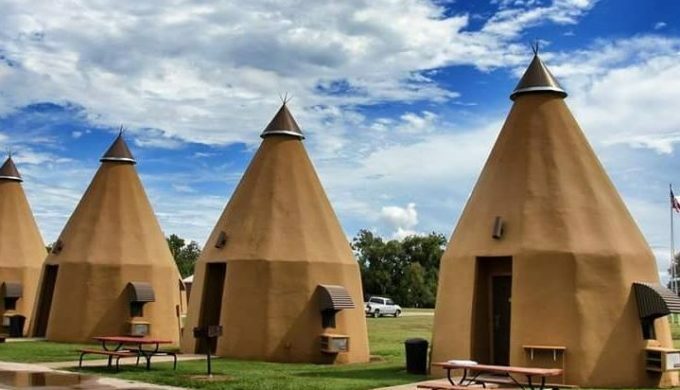 Sitting deserted since some time in the 1980s, the Tee Pee Motel of Wharton, Texas has since been purchased and renovated, and now continues to welcome guests as it did in its heyday of being a famous Texas landmark. 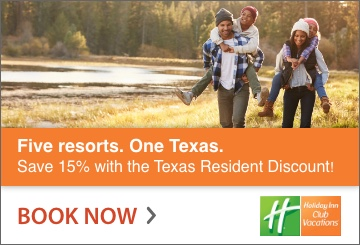 When Barbara and Bryon Woods chose the lucky state lotto numbers some years back, they purchased the hotel with a portion of their winnings and began to restore it to its former glory, and then some. 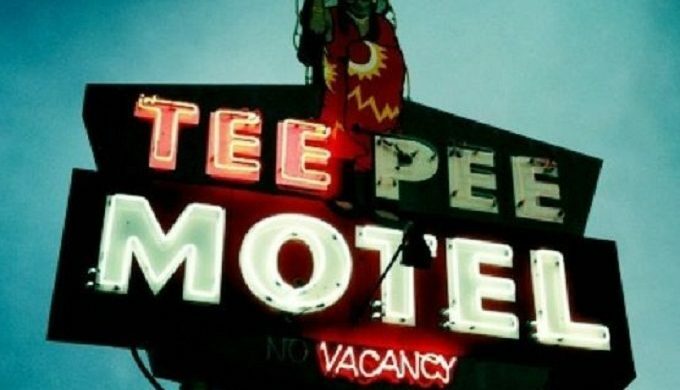 Reopening to guests in 2006 and now called the Tee Pee Motel and RV Park, the property was originally designed in 1942 by George and Toppie Belcher. 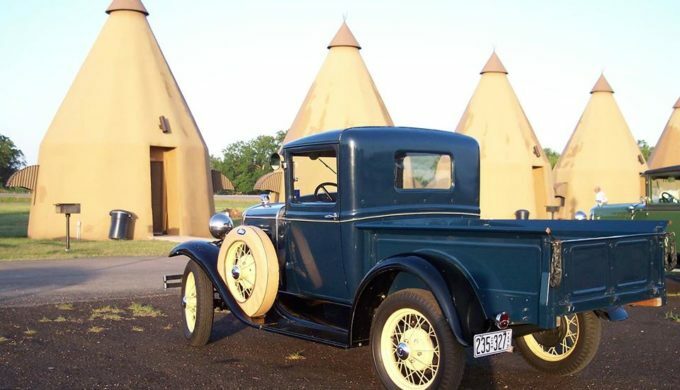 Part of the grandiose golden era of wonderful Texas roadside stops, the 11 stucco and wood rooms were constructed post-World War II (1947, to be exact), and beckoned people from miles around. The 59-year old outbuildings were restored with a mind for business and a heart for pleasure travel. Each unit had their bedrooms and bathrooms renovated and additional amenities such as refrigerators, microwaves, and coffeemakers added. The RV park portion was also newly constructed with ample space for parking and full hookups. 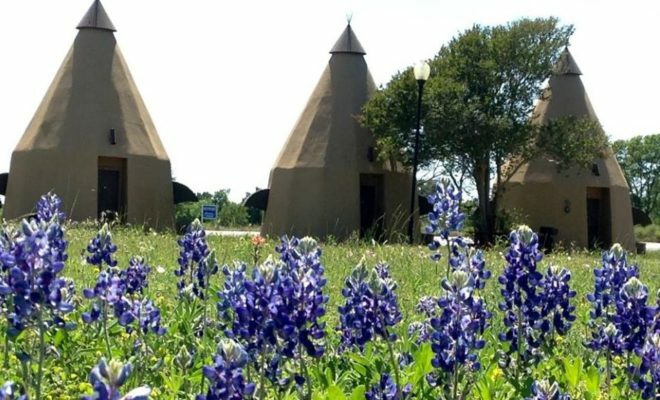 The only one of its kind remaining in Texas, and one of only four remaining in the entire U.S., the Tee Pee Motel’s units feature décor components representing Native American culture, and more specifically, nations which are a part of Texas’ colorful past. Working with 10 Native American territories, the redesign set out to have each of the Tee Pees hold the characteristics of a specific tribe with the concept of allowing each unit to take on a personality of its own.